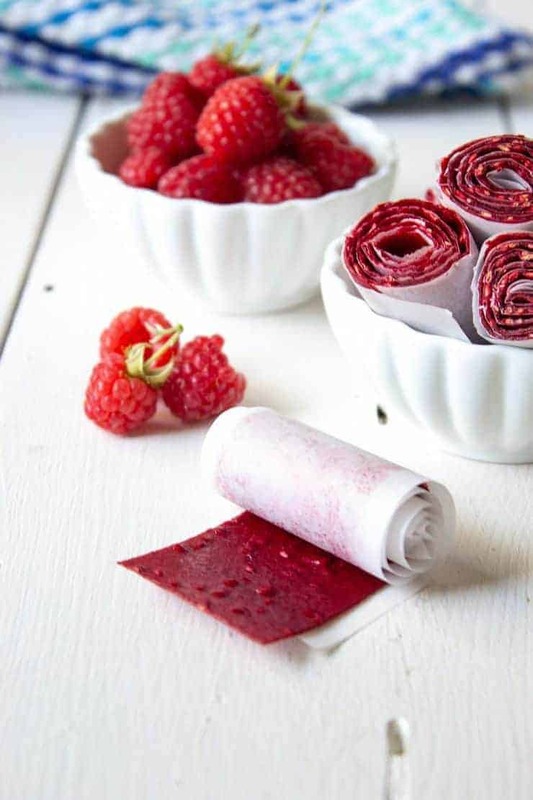 Raspberry Fruit Roll Ups are a delicious healthy snack made with just fresh raspberries and a touch of honey. My raspberry plants are still going strong. 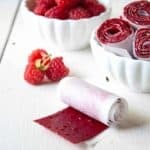 I decided to make Raspberry Fruit Roll Ups – also known as Raspberry Fruit Leather. I always think of fruit roll ups as a kid snack, but fruit leather is for anyone! 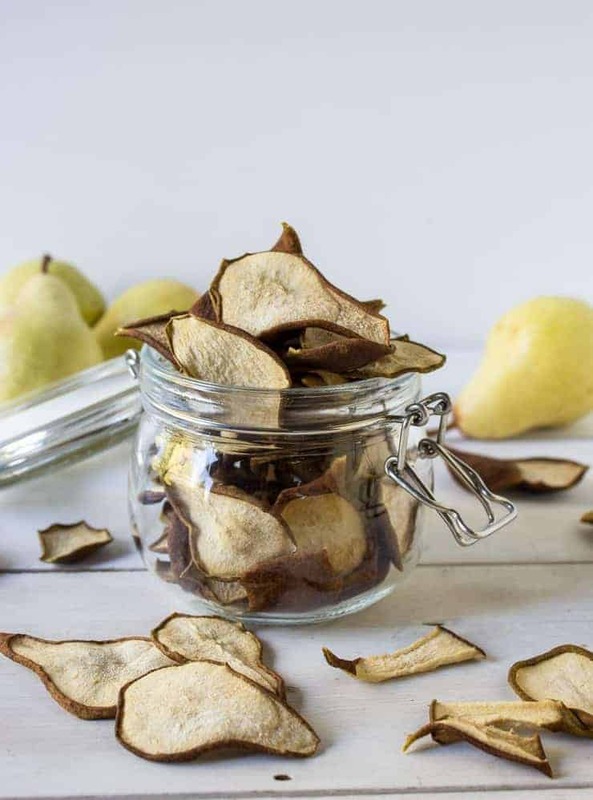 Whatever you call this dried fruit, it’s delicious! I believe I have more recipes with raspberries than anything else right now. I think that happens when you are picking as many raspberries as I am right now! Don’t worry though, you don’t need to grow your own raspberries to make any of these amazing recipes – Raspberry Almond Coffee Cake, Raspberry Lemon Muffins, Raspberry Delight, Raspberry Sweet Rolls, Fruit and Veggie Smoothies, Raspberry Lemonade, Raspberry Brownies, Raspberry Scones, Raspberry Swirl and Chocolate Chunk Ice Cream, How to Freeze Raspberries, and of course – How to Prune Raspberries! Whew! That’s a lot of raspberry recipes! I wonder what I could possibly be missing? 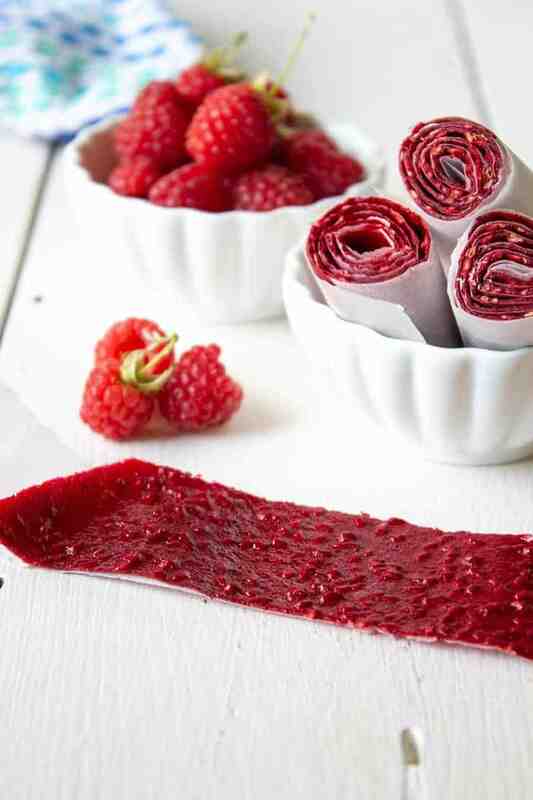 For these Raspberry Fruit Roll Ups, I just used fresh raspberries and a little honey. You can use as many berries as you have available and sweeten the berries with as much honey as you’d like. You could even leave the honey out altogether. I find the berries taste tart if you don’t add a bit of honey. 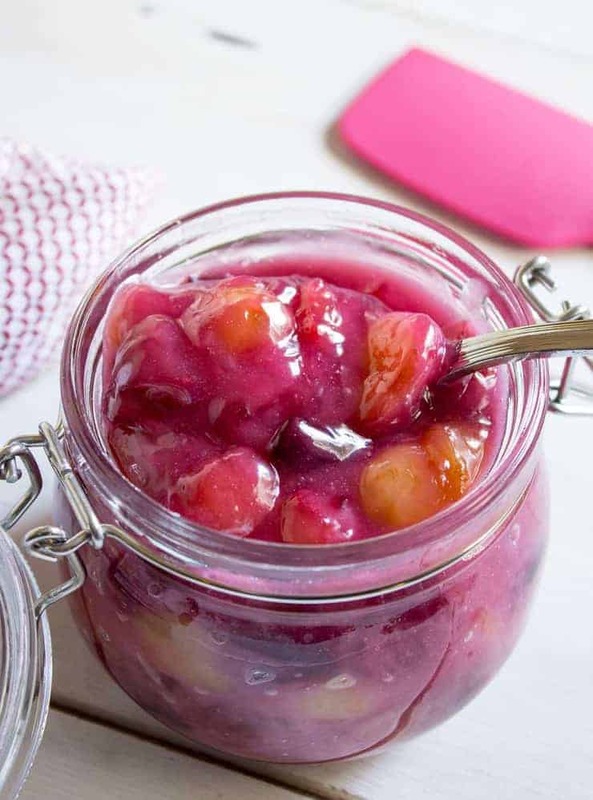 The key to success with this dried fruit, is to pour the pureed fruit onto the liner rather thick. Once the fruit is dried, and cooled, you can pull the fruit off the liner. I did not spray or add anything to the plastic liner. It came off fairly easy, although it did stick in a few places. The sticky areas were where the puree was a bit thinner than the rest. I am a participant in the Amazon Services LLC Associates Program, an affiliate advertising program designed to provide a means for to earn fees by linking to Amazon.com and affiliated sites. Please note that some of the links below are affiliate links, and at no additional cost to you, I will earn a commission if you decide to make a purchase after clicking through the link. I used a dehydrator lined with plastic liners to make these fruit roll ups. My dehydrator has a temperature gauge. If yours does not allow you to control the temperature, no worries, you may just need to adjust the amount of drying time. I use a Nesco Gardenmaster Food Dehydrator, and these Roll Up Liners. 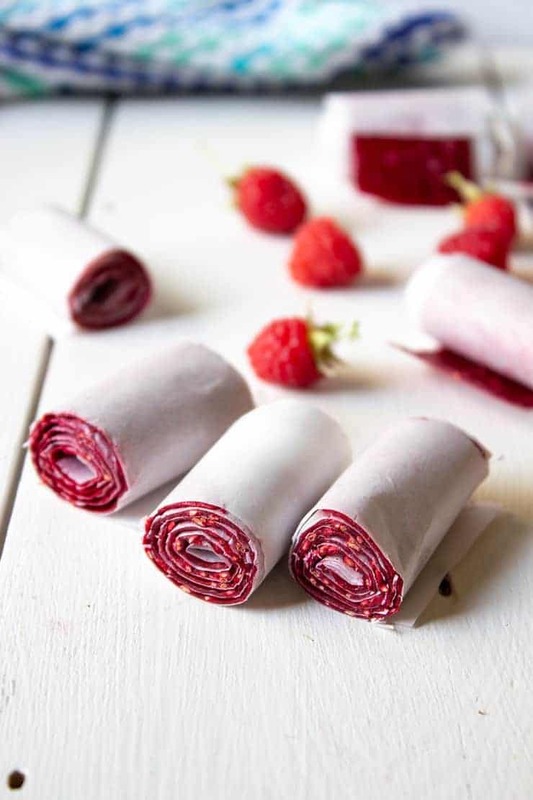 Dehydrated raspberries rolled up into a fun, healthy snack. Place raspberries and honey in a blender. Puree for 30 - 45 seconds until raspberries are smooth. Pour puree into a fine mesh sieve. Use a spatula to drain puree and keep seeds behind. Some seeds will slip through the holes of the sieve. 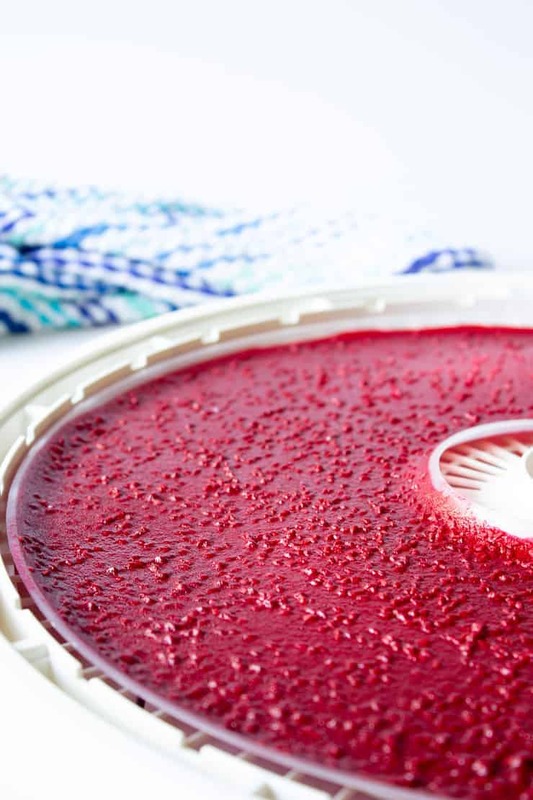 Pour strained puree onto a plastic liner on top of a dehydrator tray. You want the puree to be as thick as the liner will allow. Place trays on dehydrator set to 145 degrees. Run for 5-7 hours until no longer wet or tacky. Allow fruit to fully cool. Carefully peel fruit leather off liner. Slice fruit leather in half. Place each half on a piece of parchment paper. 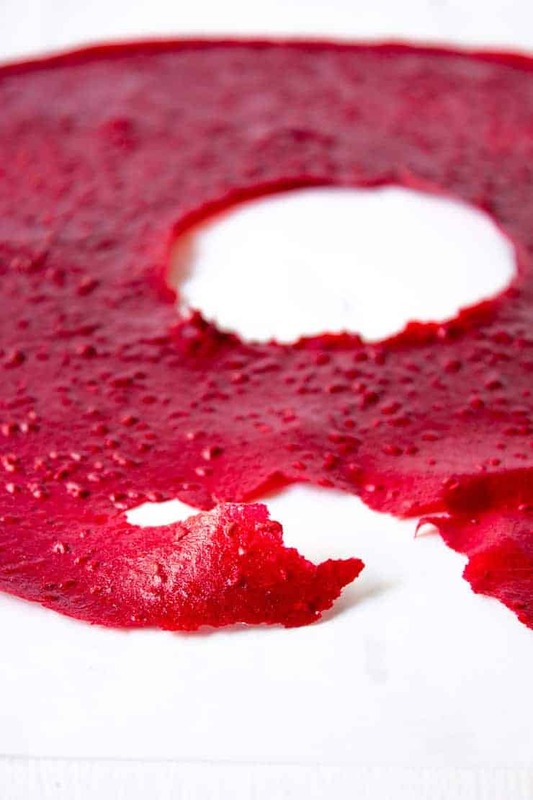 Roll fruit leather up in parchment paper. Slice rolled fruit leather into 2 inch pieces. Place in an air tight container. Drying time will vary depending on thickness of puree on liner, temperature of dehydrator, humidity. 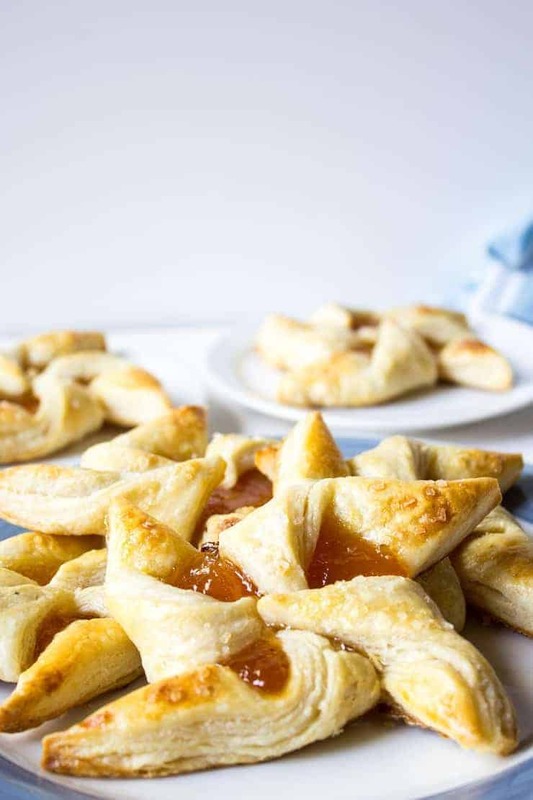 You may add additional honey if you desire a sweeter roll up. What a great way to use all those raspberries. They are a delicious snack! 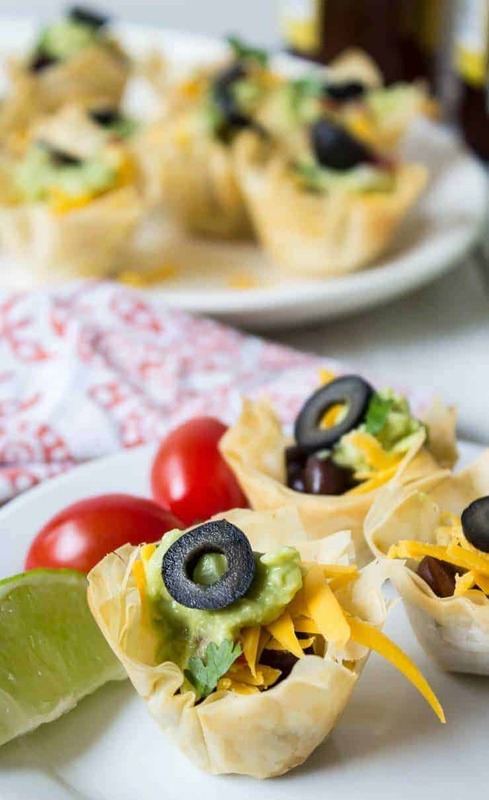 Wow- these look amazing, Kathy! Wish we were there to sample! I LOVE making fruit roll ups! I’ve got a 26 year old who still LOVES them! So easy Kathy! 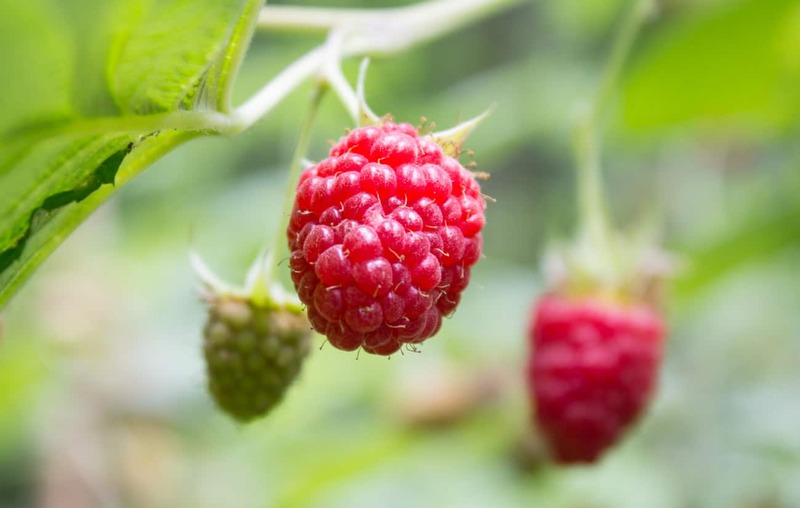 You’re so lucky you’ve got your own raspberry plants! You know, I’ve had fruit roll ups (or fruit leather) on the list to make for years now…and I just haven’t ever gotten around to it. But this post has totally inspired me! It sounds incredibly easy, and I bet these would take me back to being a kid again for sure…but without all of the added sugar. 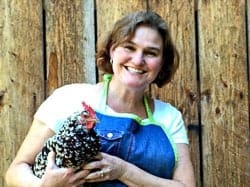 Love this recipe, Kathy! Hmmm…I wonder if I can make these with blueberries. We have about 13.5 pounds in the fridge right now. Haha! I’m sure you could use blueberries. I’m ready to try other fruits now that I’ve done raspberries! Oh gosh, I used to love fruit roll ups as a child, although I always had to get my fix at friends’ houses, since my mom never bought them – probably because of all the artificial dyes and sweeteners that now frighten me off as an adult! I’m so glad to know there are homemade versions that are made from wholesome ingredients only! These look delicious. 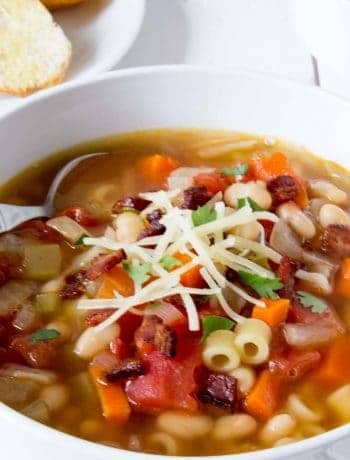 So simple and just two ingredients! You could add more honey if you wanted a sweeter roll up, but I like them a bit on the tart side. Never made roll-ups! And although I am not a kid anymore, I would so enjoy dehydrated fruit in this form! Gorgeous color and beautiful texture! Raspberries are among my favorites, so happy about all your recipes!